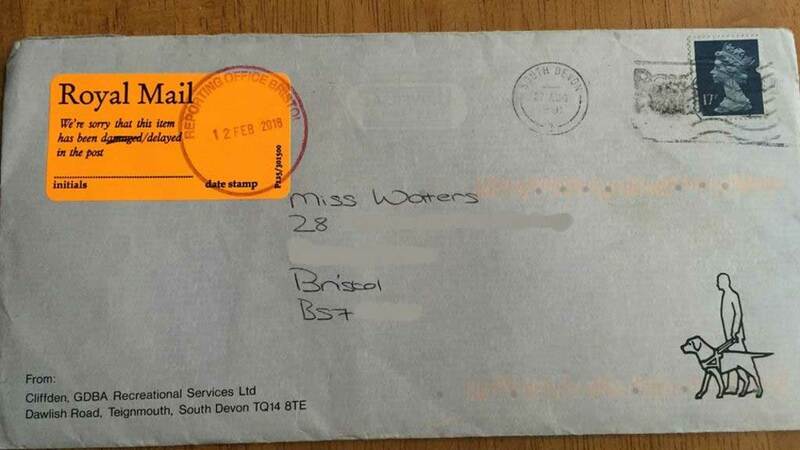 A woman from Bristol has received a letter sent to her nearly 25 years ago. Sally Waters, who still lives in the same house in St Andrew's, said the letter was dated 27 August 1991 and contained a receipt for a deposit from the Cliffden Hotel in Teignmouth. The sealed envelope came in a plastic bag with a sticker which said "we're sorry this item has been delayed in the post". Royal Mail was unable to say for certain why the letter arrived so late. Ms Waters said she was not upset at the late delivery as it did not stop her going on the holiday she was planning for, in 1992. She wondered if the letter "fell behind a shelf and got mislaid" and said she was "quite amused" by the matter.